Perhaps the Learneds had too many financial interests (including silver mining near Lake Superior and a railroad across Mexico) as they shut down operations for seven years in 1873, the same year as a financial panic across the nation. Then, James Wilson leased the mill and later purchased it outright with a series of successive partners and sporadic shutdowns due to recurring panics in the late 1800s. 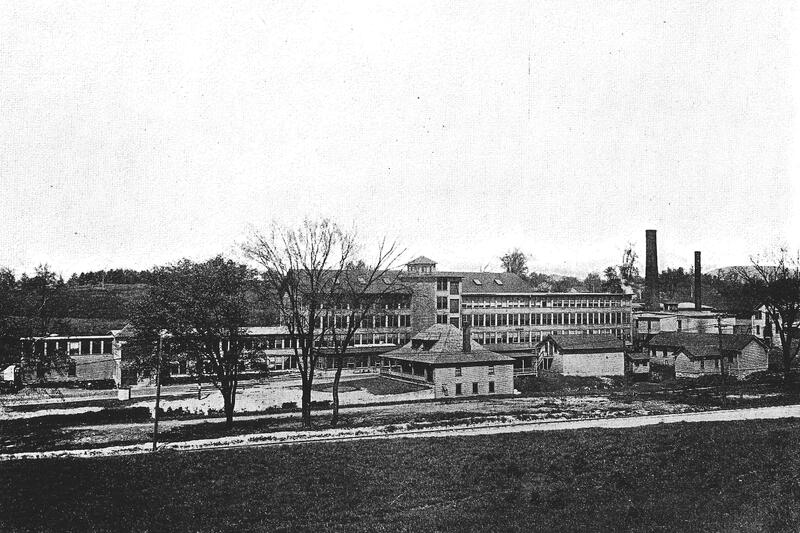 During this time, Wilson and his partner Arthur Horton bought out the mill downstream, then known as Bel-Air manufacturing. One of the most unique structures ever seen in Pittsfield was the office building that James Wilson had built in the 1890s. With a wrap-around porch and a hip roof with dormers, the shingled house resembled a country lodge and stood at the front of the complex of brick and wooden structures. The mill stayed in operation until 1927, and slowly the buildings were razed. One of the last remaining structures was the office building that was destroyed by fire in 1981. The only building still standing today is a square, two-story brick building with a brick smokestack that may have served as a boiler room powering the entire complex.